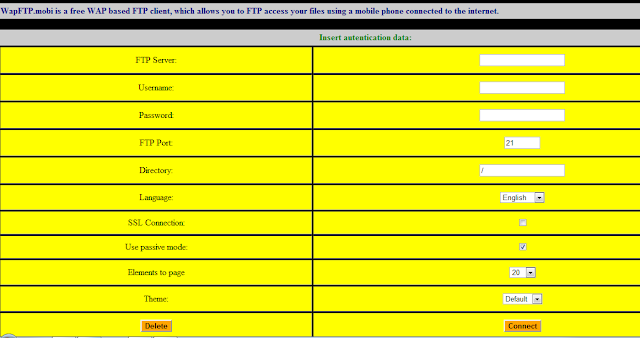 Here i am going to publish about list of online FTP ( file transfer protocol ) clients so that you no need to download and install ftp client while you developing your own WEBSITE. 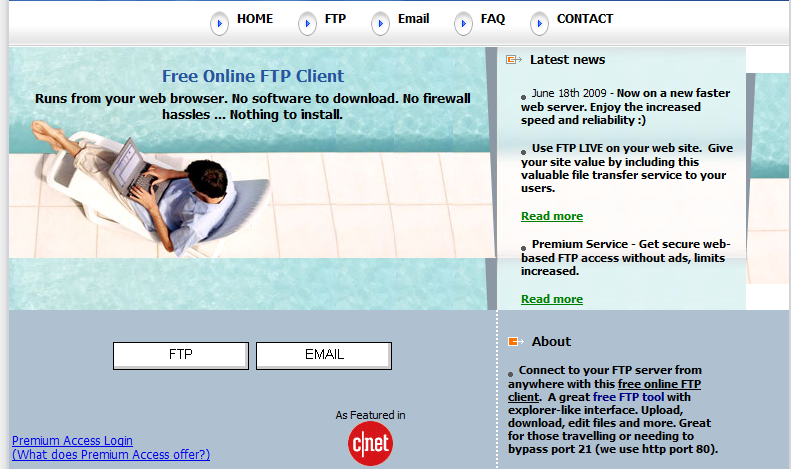 the best desktop FTP clients like FileZilla, which Mark reviewed and various other FTP clients for Windows or Mac. Choose from a list of popular applications (PHP required on the target server). Edit HTML a What-You-See-Is-What-You-Get (WYSIWYG) form; there are 2 different editors to choose from (FCKEditor and TinyMCE). Edit HTML and PHP in an editor with syntax highlighting (CodePress). ... is optional. A MySQL database is only needed for logging, and for the Daily Limit (see below). 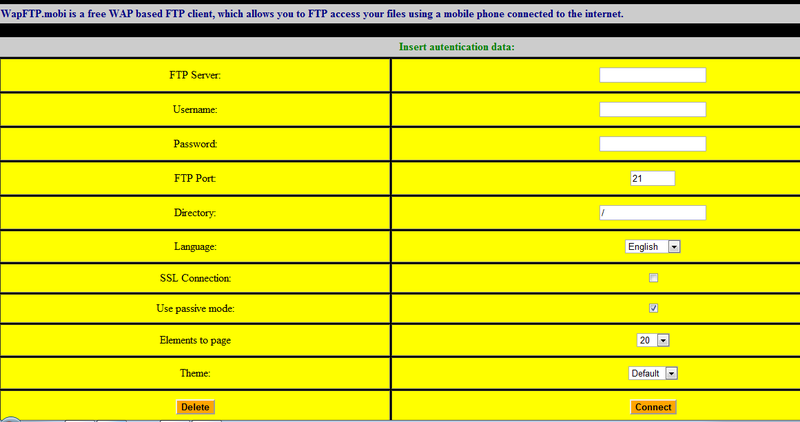 Allow the users to connect to all FTP servers, or to only a predefined list of FTP servers. The input box on the login page will change accordingly. Activate or deactivate 3 kinds of logging: pages requested, logins and errors. 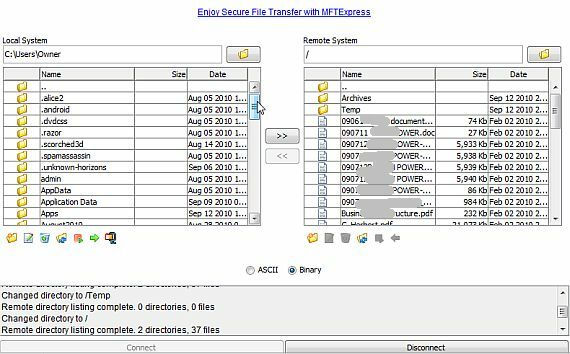 Restrict each user's daily data transfer volume and script execution time. 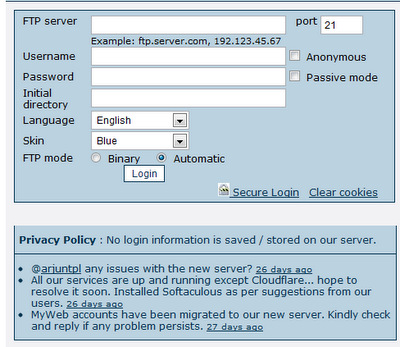 Once a user reaches the daily consumption limit, he will still be able to browse FTP servers, but the transfer of data to/from the server will be blocked. Files bigger than this limit can't be downloaded/uploaded/copied/etc but can still be renamed/deleted/chmodded. Change the layout as you want using the template files. You may can download DESKTOP version of any client. With AnyClient, you select the file in one pane and click the arrows to transfer to the other pane.